Perazzo Law shares Best advice for personal injury claims from accidents taking place on stairs, step, or ramps. First and foremost, contact the proper authorities to report the incident. If the injuries are severe, such as a bone fractures, head injuries, or other, contact medical rescue units for immediate medical attention. In the event of receiving medical attention, keep all records and receipts of any costs for services rendered paid. Secondly, gather eyewitness testimony and get the contact information of anyone that witnessed the accident or can testify to the condition of the stairs, steps, or ramp where the accident took place. 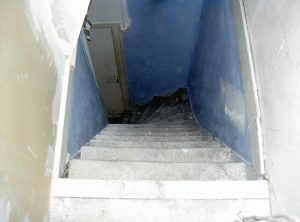 If you, a family member or loved has been involved in an accident on stairs, steps or ramps, contact one our Miami or North Miami Beach law offices for professional advice on how to proceed with a personal injury claim for compensation after falling, tripping, or slipping on a staircase, steps, or a ramp in Miami.